Each year millions of healthy, highly adoptable animals are euthanized due to overpopulation. Deciding how and where you acquire your new family member can either contribute to this problem, or help alleviate it. It can also play a significant role in predicting the likelihood of your animal growing into a healthy, well socialized pet versus one with a lifetime of medical and behavioral issues. All animal experts agree that pet stores are the worst place to acquire a pet. Pet store employees are experts at convincing well-intentioned consumers that their dogs come from private breeders. The reality is, however, the animals are supplied by puppy mills. Puppy mills are mass breeding facilities that exist only for profit, not for the welfare of the dogs. The minimum care standards are rarely enforced due to the lack of inspection officials. This means thousands of animals are kept in inhumane conditions, often for their whole lives. Breeding dogs will never see the inside of a home or experience human companionship. They will spend their entire lives in small, cramped cages stacked one of top of another. Facilities are not climate controlled and there is often insufficient food and water. The cages aren’t cleaned so their feces often winds up on themselves and in the cages underneath them. Despite the rampant illness that spreads from living in such unsanitary, stressful conditions, the dogs receive little or no veterinary care. When they are no longer fertile, the dogs are simply killed or abandoned. Poor health is usually the biggest problem with pet store puppies. Puppies are taken from their mother too early since they are often shipped out of state. This compromises their undeveloped immune systems so they often get sick in transit. Upon arrival at the pet store, sick puppies are then placed in poorly ventilated enclosures creating further health problems. Since no care is taken at puppy mills to weed out undesirable genetic traits common to its breed, health problems are common yet might not show up until later in the dog’s life. Because the dogs are often inbred as well, this makes medical problems even more likely. Behavioral issues are the second most common problem with pet store puppies. Puppies learn critical developmental lessons from their pack, such as bite inhibition and socialization, between 4 and 8 weeks of age. Since puppy mills commonly remove the puppies by 5 weeks, they lose this valuable education in appropriate dog behavior. By the time the puppy is purchased from the store weeks or months later, it has spent its entire life eating, sleeping and eliminating in a small confined space. This behavior is not natural for dogs. Given a choice, they prefer to avoid areas they soil. However, once they have become accustomed to living in their own filth from such a young age, it is extremely difficult to ever fully housetrain the animal. Most well-intentioned people wind up buying their puppy from a "backyard breeder." These are people who breed their dogs to make extra cash just because it has AKC papers. Since they are willing to sell their puppies to anyone with money, they breed their dog every heat cycle which is physically hard on the mom. This irresponsible behavior also contributes to the enormous overpopulation problem that exists. Inbreeding is common as well, creating a puppy with poor health or temperament problems that, like the puppy mill dogs, may not show up until years later. This can wind up costing a family thousands of dollars later in the dog’s life to fix these medical and behavioral problems. If you do choose to support a breeder, there are a few ways to make sure you are getting a quality dog. A responsible breeder doesn’t breed to make money. They breed to further the best qualities of the dogs. They won’t sell their puppies to the first person who shows up with money in hand. A good breeder keeps their dogs inside their home as a part of the family. They feed high quality "premium" brand pet food. Reputable breeders do NOT keep their dogs outside, in their backyard or in kennel runs. The dogs will appear happy, healthy and eager to meet new people and you will be encouraged to spend time with the puppy’s parents when you visit. A responsible breeder will only breed one or two types of dog. They will be knowledgeable about breed standards (size, proportion, coat, color and temperament). They will explain in detail the potential genetic problems inherent in that breed and will provide you with documentation that the puppy’s bloodline has been tested to ensure that they are free of these genetic problems. A good breeder will give you guidance on caring for and training your puppy. They will be available to assist you with this even after you take your puppy home. A quality breeder doesn’t always have puppies available because they only breed their dog every few years. They will keep a list of interested people for their next litter. They will want your entire family to meet the puppy. Reputable breeders will provide you with a written contract and health guarantee for the life of your dog. A good breeder will require some things of an adopter as well. You will need to explain why you want a dog. You will have to explain which family member will be responsible for the puppy’s daily care, who will attend training classes with him or her and where the dog will spend the majority of time. A reputable breeder will ask you to provide a veterinary reference as well as proof from your landlord or housing association that you are allowed a dog. You will be required to sign a contract stating that you will spay or neuter the dog and that you will return the dog to the breeder should you no longer be able to care for the dog at any point in the dog’s life. If the breeder you are visiting doesn’t fit the criteria above, we encourage you to walk away and find a more reputable one. Your dog will be with you for the next 10 to 20 years of your life so it is important to be sure you are getting a healthy animal. Whether you’re interested in a dog, cat, rabbit, or bird, there are many reasons to obtain your pet through a rescue group. First of all, you're saving a life! Rescuing an animal is a direct way to help alleviate the problem of overpopulation and euthanasia. If you’re looking for a particular breed of dog, supporting a breeder isn’t your only option. One in every four dogs in animal shelters across the U.S. is purebred. Also, no matter how rare, every breed has a rescue group. The more common breeds even have multiple rescues in every state. A rescue dog is usually already fixed, has all of its shots, and is microchipped. This is all included in the adoption fee, which is only a fraction of what you would pay to a breeder. There are two common misconceptions about rescuing a dog. People often think dogs are at the shelter because they are bad dogs. However, most shelter dogs have lost their home for "people reasons": lifestyle changes (moving, marriage, new baby, divorce) or allergies. When a dog does have behavioral issues it is often easily resolved with training, a basic responsibility the original owner was unwilling to commit to. The second misconception is that if a dog isn’t with the family from the time it was a puppy, it won’t form a strong bond with the new family. Dogs are very social animals and will naturally bond with its pack members, regardless of age. Dogs that haven’t had the best start in life tend to be even more loyal and affectionate, and their bond with the new family is sometimes stronger. Rescue groups have dogs of all ages, sizes and breeds. 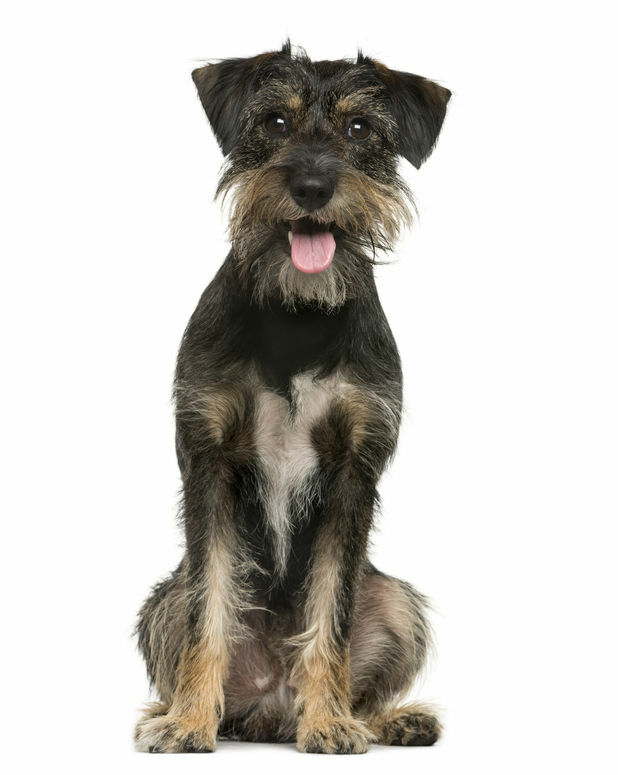 Mixed-breed dogs are often healthier, have fewer incidents of genetic diseases, and live longer than purebreds. The benefit of adopting an older animal is that its personality is already formed, and they often require less training. When you get a puppy it’s difficult to determine what its personality will be, and not everyone has the time or energy puppies require. Experienced rescue staff want to help you determine which animal will be perfect for your lifestyle. Keep in mind only 1 in 10 dogs ever find a permanent home. Rescuing an animal teaches your child the values of caring and compassion, and giving second chances.